Cool Comfort wins, hands down. 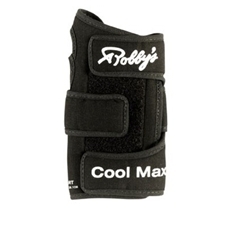 Here is the Robbys Cool-Max featuring a remarkable fabric that is like a personal air conditioner. It actually draws moisture away from the hand so the heat of performance pressure won't keep you from a spectacular score.